Corporate-government partnerships can make a great difference in times of need, argues this former FSO. A UPS humanitarian relief flight is readied in Dallas for the American Red Cross to help survivors of Typhoon Soudelor in the Mariana Islands in August 2015. Right now, millions of people are on the move—fleeing war, disease, famine, oppression and religious intolerance. As someone who early in my career was a firsthand witness to genocide and the refugee crisis it created, I agree we should be horrified with the current events unfolding across Europe and the Middle East. In terms of sheer numbers, nothing like this has been seen since World War II. Our infrastructure, social systems and governments are being stretched to their limits. But as we see human tragedy play out before our eyes, we need to remember that these migrants aren’t just numbers. They aren’t an issue to resolve. They are people who need and should receive our help. With lives on the line and nearly all the world affected by the current crisis in the Middle East and Europe, now is the time to take a hard look at how governments address the issues surrounding mass global migration. Specifically, we must examine how to make government actions more effective by encouraging greater partnership with corporations and humanitarian organizations to promote peace, advance freedom and protect fundamental human rights. Admittedly, this challenge is made more complicated by the mood of anxious apprehension affecting much of the Western world. Refugee crises are typically accompanied by episodes of racial, religious and cultural tension, as well as backlash toward “the other.” Quite simply, in times such as these, there is a temptation to “take a stand” or “draw a line,” falling victim to a defensive isolationism aimed at ensuring safety and security. The rhetoric is convincing; it’s much easier to save ourselves than to save others. What is unfortunately lost in that response, however, is our own humanity. Whether as individuals or as governments or corporations, we cannot succumb to such fears. Standing idle or staying silent in the face of such suffering is unconscionable. No matter the passport or citizenship one holds, we all share a singular humanity, and we should help those we can, when we can and where we can. The mission of the Foreign Service is to advance and protect U.S. interests abroad and implement foreign policy initiatives to promote a free, prosperous and more secure world. Our interactions with foreign governments and citizens are not only meant to ensure good relations, but to contribute to greater global development and to share the basic tenets on which our great nation was founded. But beyond that, at an even more basic level, is the aspiration to promote fundamental human rights and freedom. Through our embassies around the world we strive to protect and further America’s diplomatic goals not just because we love our country, but because we believe that all people are created equal and should have the same fundamental rights and freedoms Americans enjoy. “Wherever men and women are persecuted because of their race, religion or political views,” Nobel laureate Elie Wiesel once said, “that place must—at that moment—become the center of the universe.” Thus in times like these, we must act to protect those in harm’s way in defense of the values we hold dear. Fear drives us to take positions in the short term that make us feel safe. But we must remember that the preservation of life, individual liberty and dignity is essential to modern democracy, and that we cannot ensure peace in our world unless we provide a credible, compassionate alternative to terror. The only way that such terrible atrocities won’t happen again is if we act. As a former Foreign Service officer myself, I experienced firsthand what a heavy toll military conflict takes on innocent lives. What I saw and felt when I served in Kigali during the Rwandan genocide isn’t something that should be relived. The loss was great; the political silence deafening; the brutality overwhelming. We always tell ourselves that what happened in Rwanda shouldn’t happen again. What happened in Cambodia shouldn’t happen again. What happened during the Holocaust shouldn’t happen again. But the only way that such terrible atrocities won’t happen again is if we act. Experience also teaches us that we should not run blindly into issues as nuanced as providing refugee aid when national security and global geopolitics affect every decision taken. Nor should our response to humanitarian crises ever be to just throw money at a desperate situation. The response requires a personal investment by all of us and significant effort to achieve meaningful progress in collaboration with all stakeholders. If we take the time to advance needed change in partnership with others, perhaps we won’t see a repeat of what’s happening today in Syria and the refugee crisis it has sparked. UPS employee Deanna Cain works the forklift at a UNICEF volunteer event packing winter clothes for Syrian children. Cross-stakeholder partnerships are what will drive meaningful results. The U.S. government alone, or any government for that matter, cannot supply all of the resources necessary for change. Nor can nongovernmental organizations, even if they all join forces and cooperate with each other. No single person, company or entity is enough to address issues of this magnitude; but together we can make a significant difference for those in need. “Each to his own strength” may be the best path forward. To solve global problems, we need to tap into the resources and expertise that each of us bring to the table. Solutions that embrace this shared, collaborative approach have a considerably greater impact because the right people and right organizations will be focused on the right issues. Consider how much more could be achieved if governments sought and supported greater corporate involvement, matching problems to strengths. At UPS, for example, we believe in the power of logistics to move a significant volume of global GDP every day. But we also believe in the power of logistics to help alleviate suffering, even in the most troubling circumstances. Last year, in response to the Syrian crisis and subsequent diaspora, UPS provided financial, in-kind and volunteer support, assisting the efforts of the Office of the U.N. High Commissioner for Refugees, the World Food Programme and the Salvation Army. These resources and the numerous volunteer hours provided by UPSers brought dozens of ocean containers filled with supplies to critical relief points like Erbil, in Iraq, where we delivered winter clothing kits for children, as well as therapeutic foods, tents, water sanitation devices and health kits. Working closely with partner organizations like UNHCR and Shelterbox USA, UPS also brought mobile warehouses and sleeping mats to Gaziantep, in Turkey, and countless kilos of shelter supplies to Lebanon. 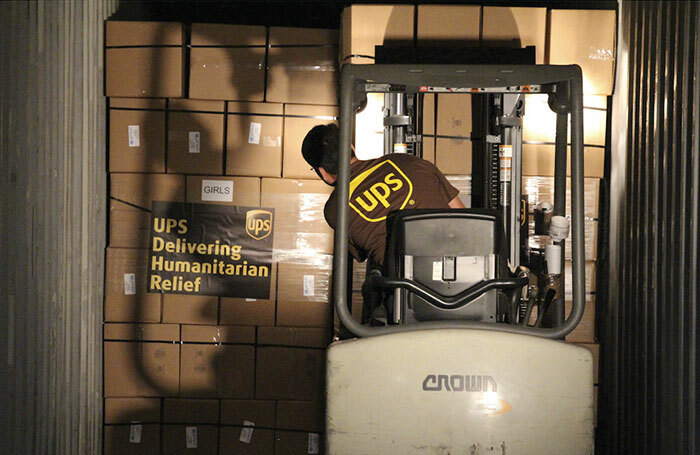 UPS’s logistics expertise has also been mobilized for disaster relief. In southern Turkey, as part of the WFP’s Logistics Emergency Team, skilled UPSers are assessing national infrastructure capacities to maintain support for Syrian refugees. And in Germany and Belgium, UPS volunteers have constructed accommodation facilities, delivered vital supplies like blankets and toiletries, and distributed needed food to refugee camps. In Italy, support from the UPS Foundation has even helped to provide legal counsel to refugees ill-equipped to go through the proper immigration process. I highlight these efforts not just because I’m a proud UPS employee, but because I also think they might serve as models for greater corporate involvement in the future. By understanding what made past efforts valuable and helpful, we’ll be able to replicate and multiply them. Doing that will entail shared responsibility. Corporations have skills and resources that can be leveraged and directed at humanitarian issues, but only with support from the U.S. government and international community. While it may be true that companies have a responsibility to shareholders and decisions are often driven by a bottom-line calculus, companies are also made up of individuals who bring their values to work with them every day and contribute to corporate cultures that find ways to give back to the communities in which they live and work. I’ve seen the power of partnership from both the government and private-sector vantage points and strongly believe that everyone—no matter who they work for—can help in such desperate situations, by playing to his or her respective strengths. Corporations have skills and resources that can be leveraged and directed at humanitarian issues, but only with support from the U.S. government and international community. Operationalizing this collaborative approach poses its own set of challenges due to various restrictions and bureaucratic red tape. But by sticking to three main principles, we will create an environment through which corporate-government partnerships can make a major difference in times of great need. • First, corporations and governments both need to share early-warning information with each other. Large corporations and governments both have global reach, but don’t always cross paths in the same circles with the same networks. Jointly helping to flag issues as they arise will help governments and corporations take more informed action at the right time. 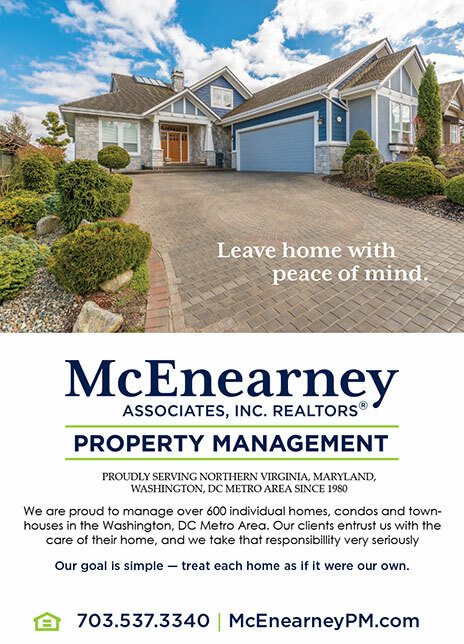 When there’s an opportunity to make a difference, making each other aware of a situation requiring a united response is the first and most crucial step. • Third, corporations must recognize that they have a role to play in addressing humanitarian issues. Using the power of their brands and financial resources, corporations can help to shape popular perspectives on an issue and counter messages of fear, hate and indifference. Sometimes, corporations need to take a public stand to make a difference and shape public discourse, particularly in the communities in which our employees live and work. 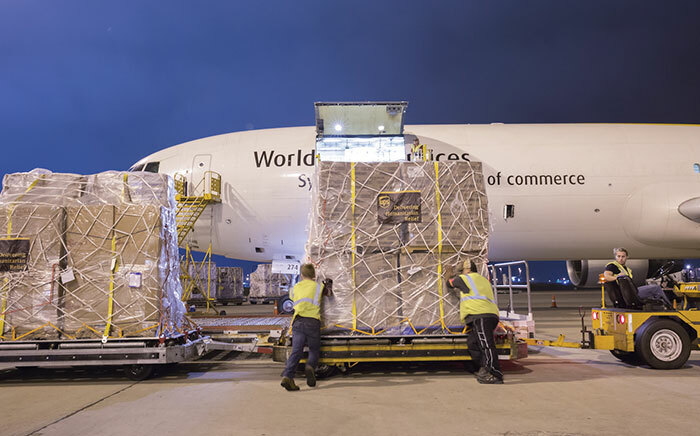 Our hope at UPS is that we can join others in doing more to help address the current crisis, using our logistical strength to provide compassionate relief while governments work through diplomatic and military means to re-establish peace and security. At the front line of these efforts, the Foreign Service has the potential to help play a role in bridging people and organizations by reaching out to those in need and those with resources to help in any given country. Together, we can engender greater and faster responses to humanitarian crises, making progress where in the past we may have fallen short. 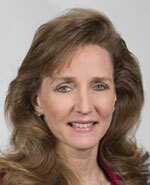 Laura Lane served in the Foreign Service from 1990 to 1997, including postings to Bogota and Kigali, as well as assignments in the State Department Operations Center and the trade policy and programs office in the Bureau of Economic and Business Affairs. During her tour in Kigali, she led the evacuation of American citizens out of Rwanda in April 1994 with the outbreak of civil war and then returned as political adviser to U.S. forces providing humanitarian relief in the aftermath of the conflict. She also served as a U.S. trade negotiator at the Office of the U.S. Trade Representative. Lane currently serves as president of global public affairs for United Parcel Service, Inc. Prior to joining UPS, she was the senior vice president of international government affairs at Citigroup and vice president for global public policy at Time Warner. You can view her TED talk here: http://tinyurl.com/jhosm9m. Development Aid to Africa: Time for Plan B?